You probably know that the majority of web traffic originates from mobile devices rather than personal computers, leading to new best practices in website development and design. In addition, Google enforces mobile standards with its mobile-friendly test. Failing that test can have an effect on search results. If you want the sites you build to compete effectively, they must be fully responsive. “Responsive” means a website has to look good and function smoothly and pass usability standards on smaller screens and in mobile browsers. Sites that are designed and tested only on desktop computers rarely provide a good user experience on devices where screen real estate is limited. 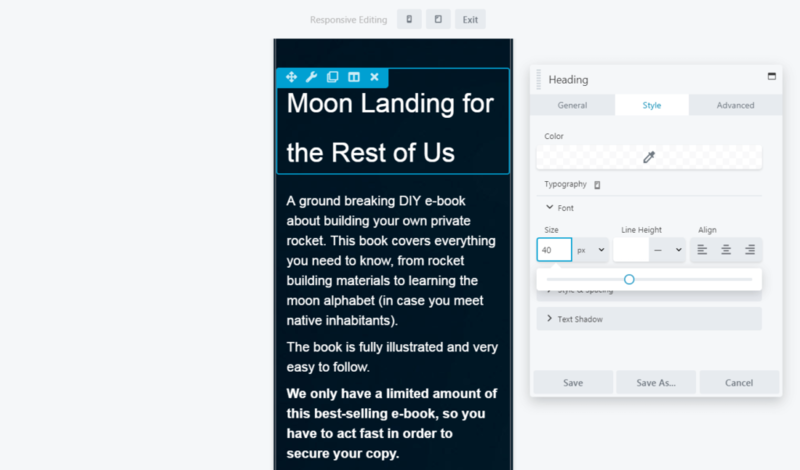 In this post, we’ll discuss some best practices in responsive design and then show you how to streamline the process with Beaver Builder. 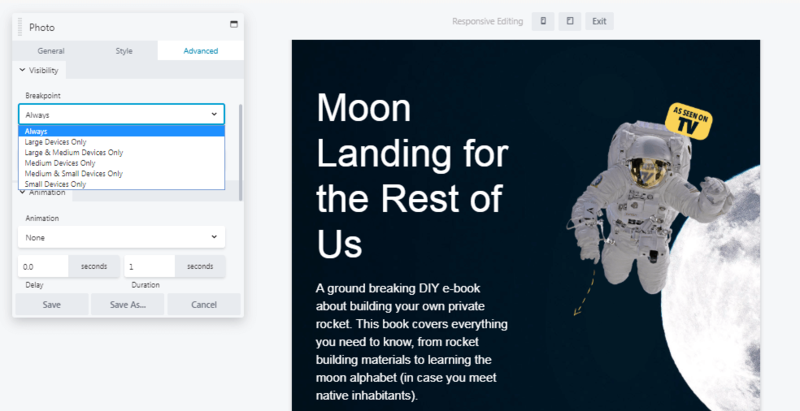 Besides the built-in responsive capabilities of the Beaver Builder Plugin and Theme, the plugin’s responsive editing mode lets you tweak your layouts while viewing your pages on large, medium, and small devices. Device size. It’s not feasible to have a different version of your site for every screen size and resolution imaginable, so design tends to be based on categories of screen width: large (desktop), medium (tablet), and small (phone). Layout. Beaver Builder automatically moves rows of columns on the large screen to vertically stacked columns as screen size decreases. 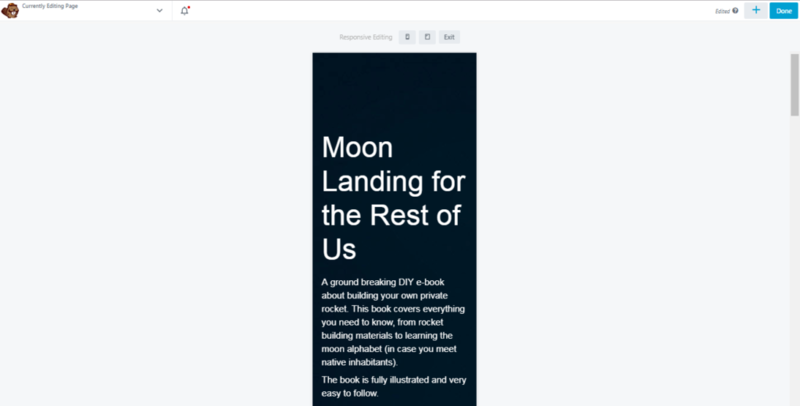 You can change the stacking order and tweak other aspects of the layout to better shift from horizontal to vertical orientation at smaller screen sizes. Spacing. It’s important to use plenty of white space at every screen size, but on a mobile device it’s crucial to ensure that users have room to interact with the various parts of your site. Visibility. Given how little space you’re working with on mobile devices, sometimes you can enhance the user experience on mobile devices by hiding some of the elements that appear on the large-screen version. Of course you want to retain the most important information, but the full site might have elements such as images that don’t add any value to the small-screen version. Responsive design would take a lot of coding without tools that automatically adjust layout and spacing. Beaver Builder’s built-in responsive capabilities meet the Google mobile-friendly test, so all you have to do is tweak settings to enhance the user experience at each screen size. We’ve already talked about the natural fit of the Beaver Builder plugin with responsive design and its ability to tweak your layouts efficiently. The Beaver Builder plugin has a lot of other things going for it, too. 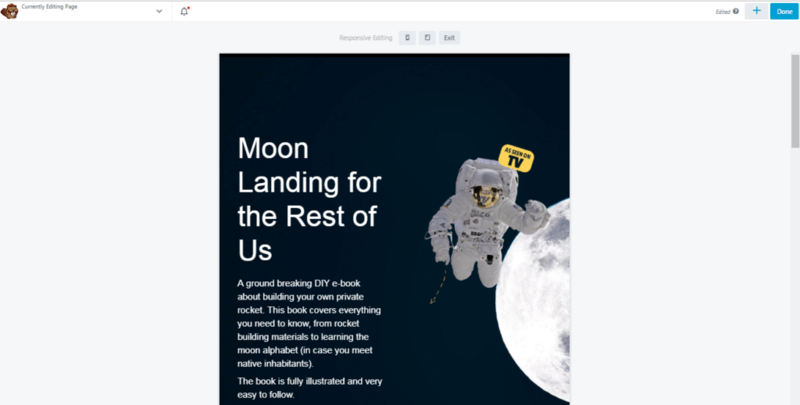 It’s also important to choose a responsive theme for your WordPress site to control the responsiveness of your header, footer, and sidebar areas, and one that’s compatible with the Beaver Builder plugin. There are many WordPress themes available, but of course we’re partial to our own Beaver Builder Theme, because it’s cleanly coded, loads fast, and is fully integrated with the Beaver Builder plugin. If there’s no theme that offers the degree of responsiveness and customization you want, we also offer Beaver Themer, a way to build responsive layouts in parts of the page that are normally controlled by the theme. Here’s where you see how easy it is to design mobile-friendly WordPress websites with Beaver Builder. First, pick up a copy of the Beaver Builder plugin. Any premium version will do the trick, but the Pro and Agency plans come with the Beaver Builder Theme. Whichever theme you use, install and activate the Beaver Builder plugin on your site. Beaver Builder comes with over 30 layout templates to choose from. 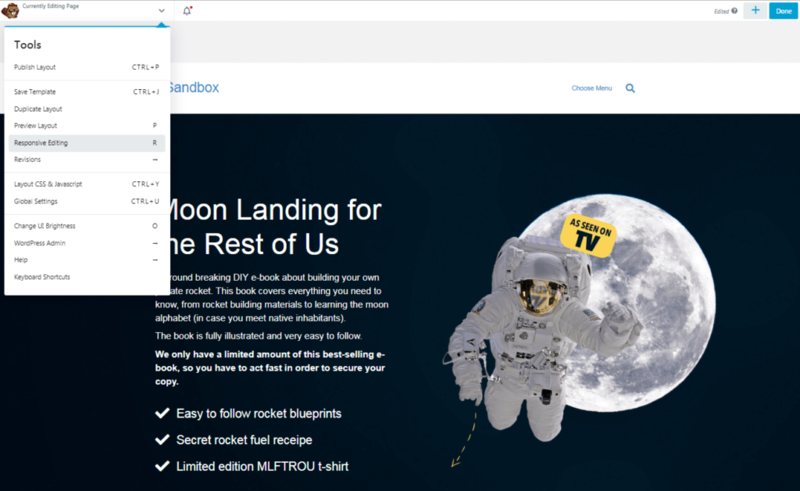 You’ll find landing pages, industry-specific designs (such as for fashion and agency sites), and specific types of content pages, including a ‘subscribe’ and a ‘coming soon’ page). All of these templates are designed from the ground up to be fully responsive on mobile devices. 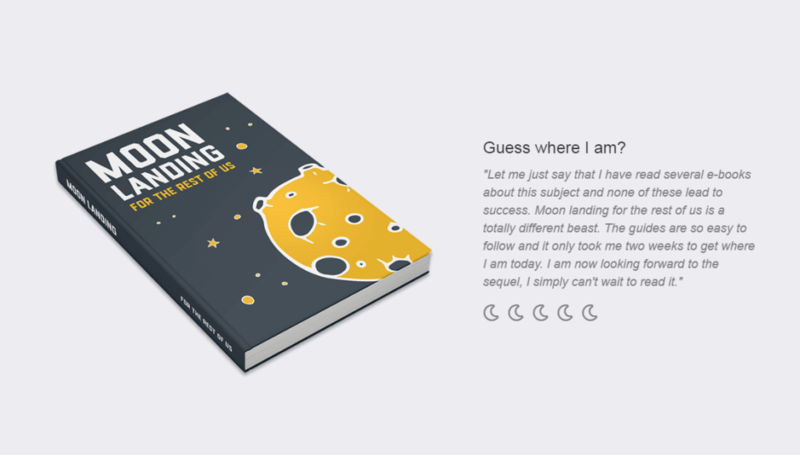 If you have your own page design in mind, just start dragging rows and module into the layout area. As you’re editing the page, move from one screen width to another to see the result of your layout. This system lets you focus your efforts on the version of your site most visitors are likely to see, but you can also ensure that users have a smooth viewing experience on other devices. One option is to disable responsive behavior on your site. In most cases, responsiveness should be enabled. It’s also a good idea to leave Auto Spacing enabled. Auto spacing automatically adjusts the margins and padding between elements on smaller screens to avoid content that’s overly crowded or too spaced apart. With auto spacing disabled you’ll probably have to do a lot more manual tweaking. In addition, you can set custom breakpoints here. If your Medium Device Breakpoint is set to 900px, for example, screens wider than that display the large-screen version of your pages. Screens with a width less than 900px but still greater than the Small Device Breakpoint displays the medium version of your pages. 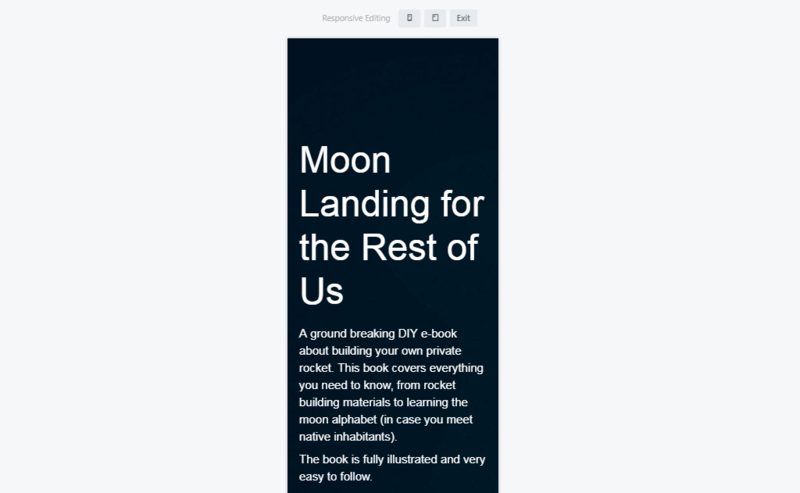 In addition to the global settings that affect your entire site’s responsive behavior, there are plenty of ways you can adjust specific settings for responsive layout on a particular page or post. You can tweak the other font settings here as well, such as line height and alignment, and your changes appear only on the device type you indicate. 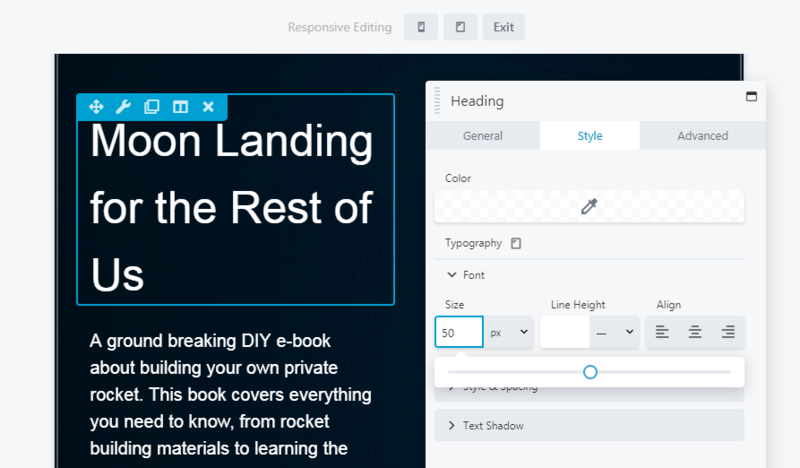 Besides using these responsive editing icons in your regular layouts, you can make all these changes in Responsive Design Mode as well, so you can directly see the changes. 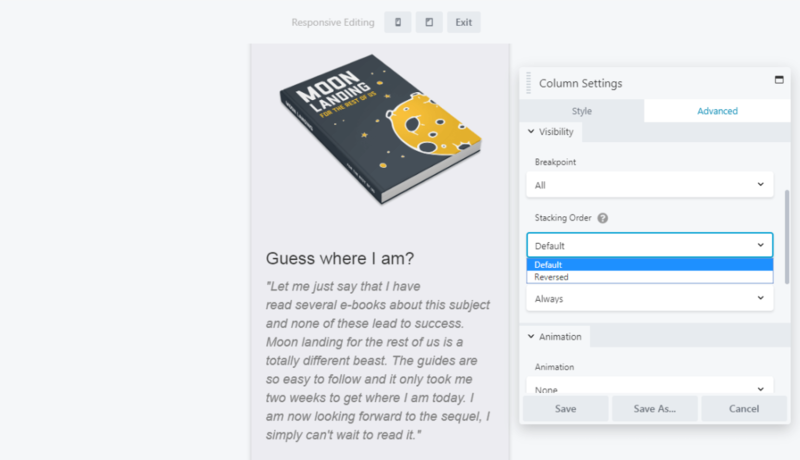 Beaver Builder lets you create complex column layouts, and as screen width gets smaller, Beaver Builder moves horizontal columns to vertical columns in a predefined stacking order. 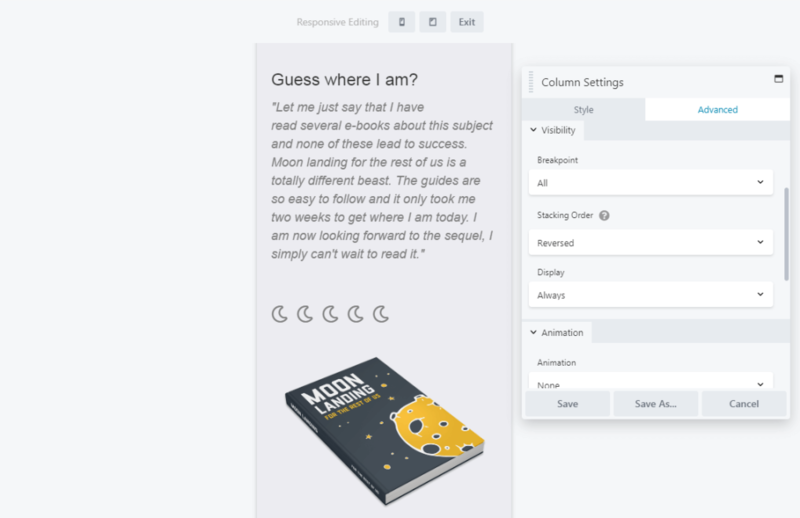 You can even prevent column stacking entirely by setting specific column widths for each device size on the Style tab, using either the responsive icon next to the setting or Responsive Design Mode, as described in previous steps. As carefully as you design each version of your page, some elements such as images add more to design than to content, and smaller layouts might work better if they’re hidden. You can also use this feature to create elements that will only appear on a specific device size, such as a custom call-to-action button that’s only visible on mobile devices. Following these steps give you nearly total control over how your site looks and functions on screens of various sizes. All that’s left is to start designing! 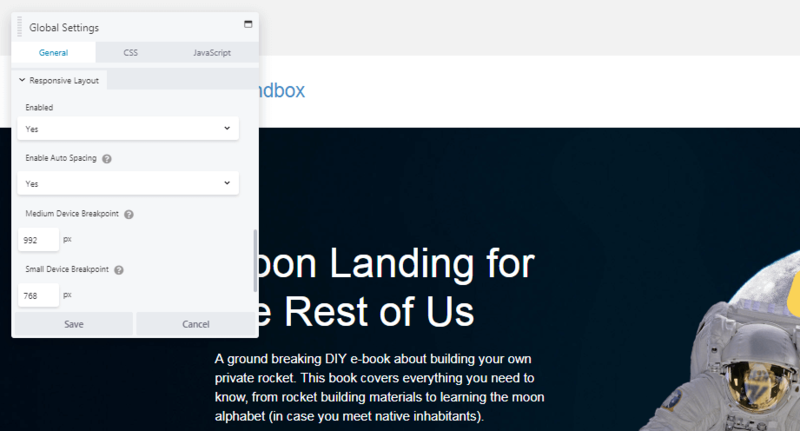 If you run into any difficulties while building your responsive site, you’ll find plenty of detailed instructions in the Beaver Builder knowledgebase. These days responsive websites are a requirement, not an option. Chances are that many visitors will view your site on a phone or other mobile device. If you want their experience to be just as good as a desktop browser, you have some work to do. Install the plugin and choose a template. 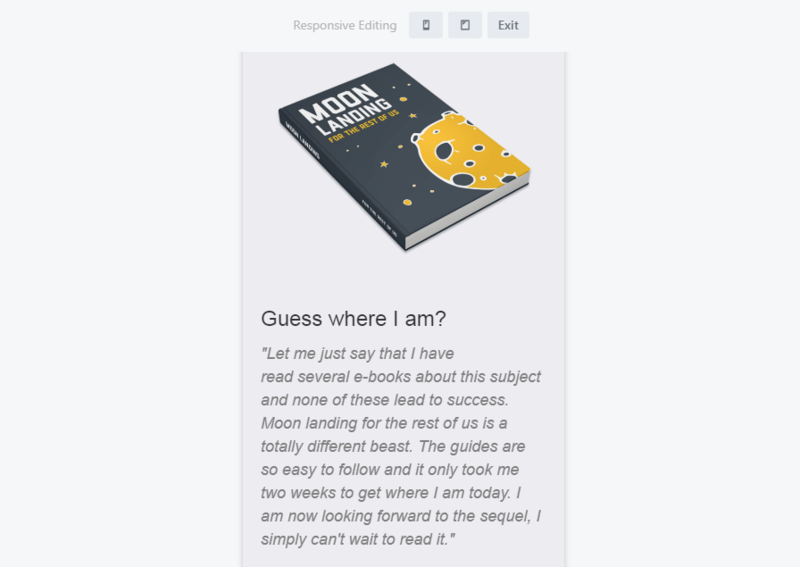 Design your pages using responsive editing. Tweak font sizes based on device type. Hide individual elements on specific device sizes. Do you have any questions about how to design your responsive website effectively? Ask away in the comments section below! Anthony Tran is the Director of Marketing at Beaver Builder. He loves Starbucks iced coffee, watching NBA basketball, and catching the latest Marvel movie in theaters.